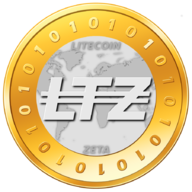 LitecoinZ is a decentralized cryptocurrency based bitcoin compatible on the Zcash core. It utilizes the Equihash algorithm with ZK-snarks, T-addresses and anonymous Z-addresses. By combining the technologies, LitecoinZ is able to operate as a cryptocurrency with an ability to provide processor unit mining to people worldwide.